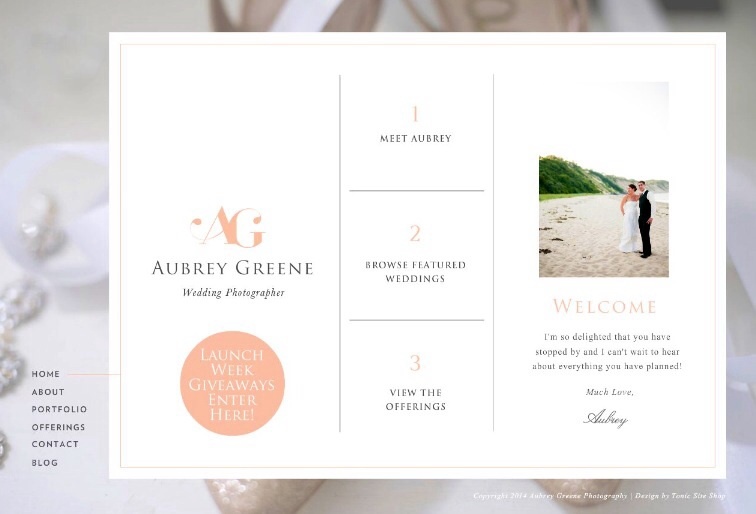 Aubrey Greene Photography: Website Launch Party! So I ment to post about this earler in the week but my brain has been overflowing with the stuff that is life and I forgot. But good news, there Is still time! My friend Aubrey is a fantastic wedding photographer in the Boston/Newport/Cape Cod areas, and she just had her website redesigned and decided to celebrate with a "party" full if lots of fun free gifts! Head on over to her website to enter and her Facebook page to find out all the details! Congrats on the launch Aubrey, the website looks great!